Barstool with black or white simil-leather fabric upholstered seat and shockproof polycarbonate core. For indoor use. 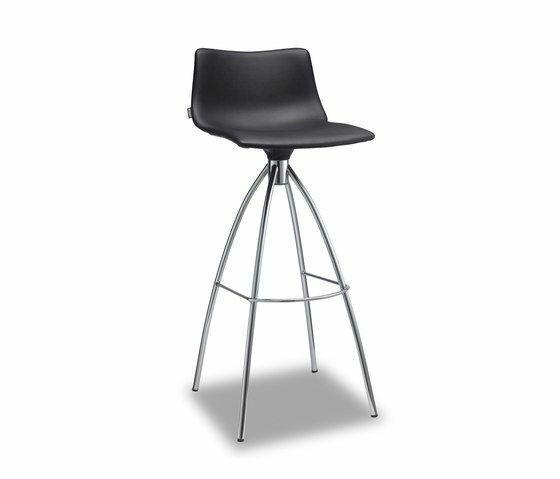 Revolving barstool, height adjustable with gas piston. Base and column in chrome-plated steel.